Prepare a pan with a lid. The size of the pot is very important. Take into account that when a corn kernel pops it expands to more than twice its size. It would also help if the pan is light enough that when the kernel starts popping it would not be tiresome for you to move the pan as you go along. 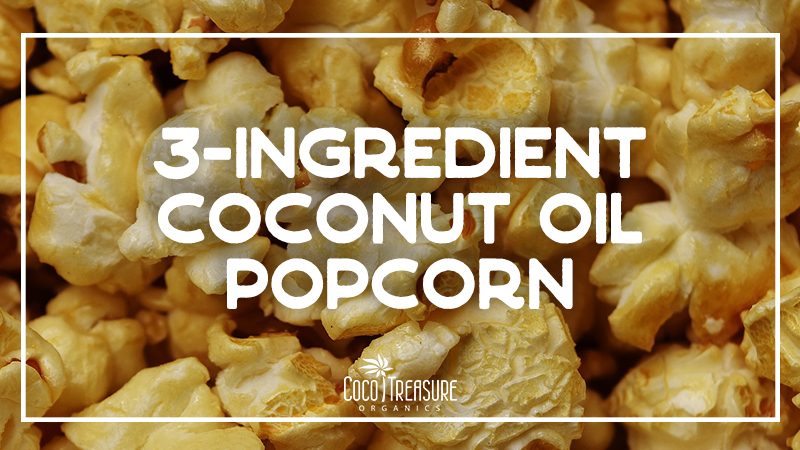 Put 2 tablespoons of coconut oil into the pot along with 2 kernels of popcorn. Close the lid. Set the heat to medium and give it a couple of shakes to soak the popcorn kernels in coconut oil. Upon hearing two pops from the kernels, it means that the pan is at the right temperature for the kernels to pop. Pour in the rest of the ¼ cup of popcorn kernels. And turn the heat on high. As soon as the rest of the kernels stop popping, keep shaking the pan for a minute or two this will allow most of kernels to reach the bottom of the pan where the optimal temperature for popping is due. Make sure the rest of the kernels have popped not waiting too long that the rest may start to get burned. Once done, pour popcorn into the container. Add sea salt to the popcorn to taste. Sea salt is the key to this recipe because it differs from your usual table salt. Sea salt is produced naturally by evaporating ocean water from salt water lakes, with a little processing the refine the end product. Table salt on the other hand is processed from underground salt deposits and is manufactured with additives. The last step? Enjoy alone or with friends! We all have that lazy Saturday night weekend when we sit on the couch and binge while watching our favorite series and TV programs that we have missed during the whole work week. Or let’s say there are these times when we sit down with a couple of friends and commence a movie marathon if the mood permits it. Along with the entertainment side, we never forget to munch down on our favorite snack as we indulge the theme of the show as we watch. The all-time favorite snack you say? Popcorn. Here, we have a quick and easy way to prepare popcorn with a healthy twist. Coconut oil popcorn is a popular alternative among individuals who keep a close watch on their health. The only twist? Having the regular cooking oil replaced with a healthy alternative – coconut oil. There you go. Fast and easy! Your favorite snack on-the-go just got a healthy twist. Sure, those small tweaks on the recipe may not make much, but in the long run, you will be taking into account how well you are doing with your diet. This is a no frills recipe that will surely be on your list whenever you’re preparing for a movie night weekend. There is no better way to enjoy your movie cringes along with a tasty snack on the healthy side of things. 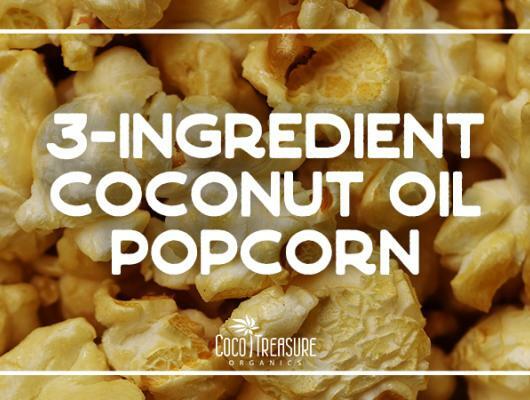 Now lie down, munch on this coconut oil popcorn, and enjoy!